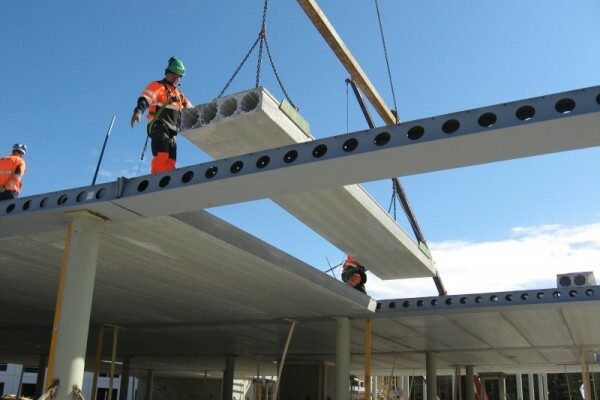 Peikko Group, founded in 1965, is a family owned company with headquarters in Lahti, Finland specializingin composite beams and fastening products for concrete connections. Today, the group has offices in 30 countries in Europe, North America, and Middle East. The modern production facilities are located in Canada, China, Finland, Germany, Lithuania, Russia, Slovakia, United Arab Emir-ates, and United Kingdom. 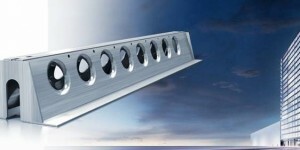 Deltabeam is a hollow steel-concrete composite beam made from welded steel plates with holes every 30cm in the sides. The cross-section of the Deltabeam is a trapezoidal. 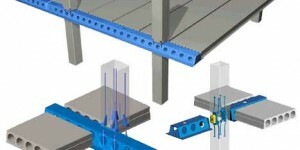 The box section of the steel beam is concreted at site during construction. 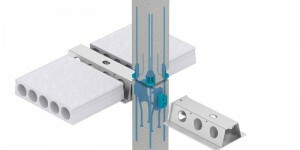 After the concrete has hardened, Deltabeam acts as a uniform load-bearing structure. 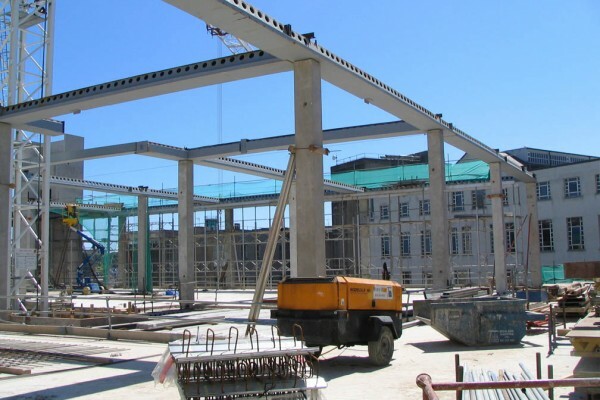 Deltabeam can work together with all types of slabs such as hollow-core slabs, composite slabs, or in-situ concrete slabs… Thanks to the steel reinforcement bars placed inside, Deltabeamcanreach a 2 hour fire resistance withoutadditional fire protection.